Decorating kid’s room is always fun and challenging. Kids have so many ideas. 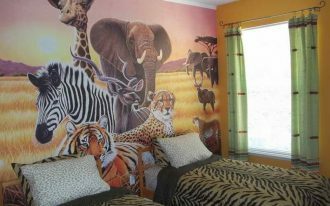 We can use their ideas as the inspirations when we are going to decorate their room. 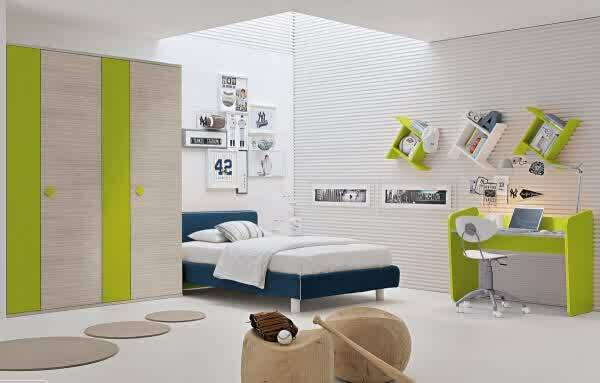 Such the following modern kids bedroom. First modern kids bedroom design presents blue as the main color theme of kid’s room. The blue creates breezy aqua. This color is paired with white. Yellow accessories are added to make the room more cheerful. 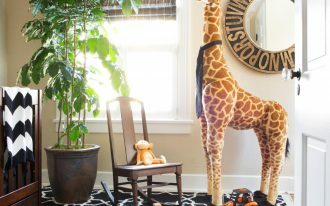 The accessories should be matched with the kids’ hobby or preference. Corrugated white wall adds unique and obvious texture to the room. A group of framed photographs gives something homey. Blue-painted shelves also make the room more stylish. 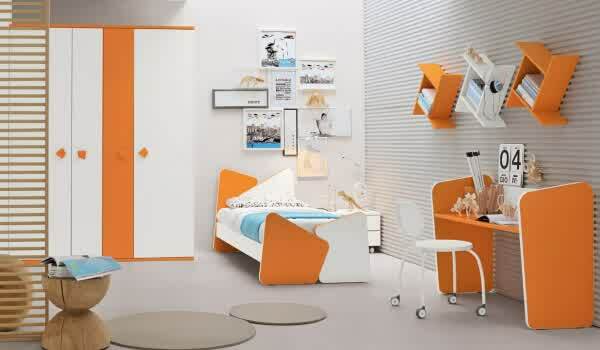 Second modern kids bedroom design is the room with orange-white color schemes. 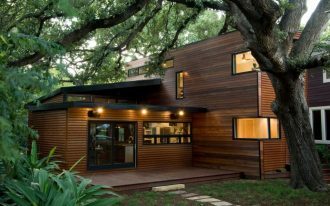 Like previous design, this design is also categorized as gender neutral tone-color. Bright orange and clean white combination plus cool blue create fun appearance. 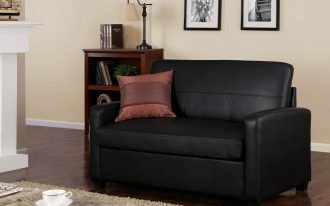 Few numbers of wooden furniture also add small dash to the room. A quirky table zone helps the kid’s study time more attractive. This design is not less interesting than two previous designs. The design uses three main bright colors as the main color schemes; these colors are bright purple, pure white and zingy green. Purple is applied for the wall near the bed’s headboard. Zingy green is so attractive to be applied for bedroom rug and bedcover, and white is selected as the bookshelves, wall, and floor color. 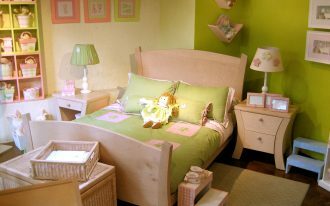 To see more inspiring modern kids bedroom, below we attach 3D version of visual kids bedroom designs. 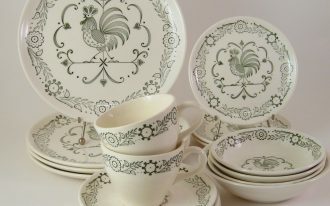 We hope that these designs help you in selecting the best one.